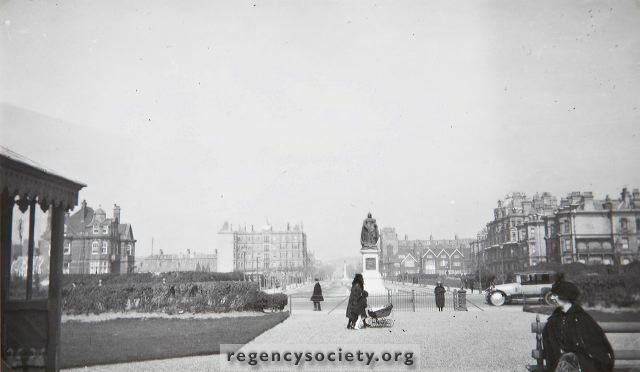 A view of Grand Avenue from within the private gardens of the West Estate Brighton Company. On the east side can be seen the imposing mansion, No.4, which was originally occupied by one family. Later it was used as a residential club before being demolished and replaced by the present luxury flats which bear the same number.